Yes! 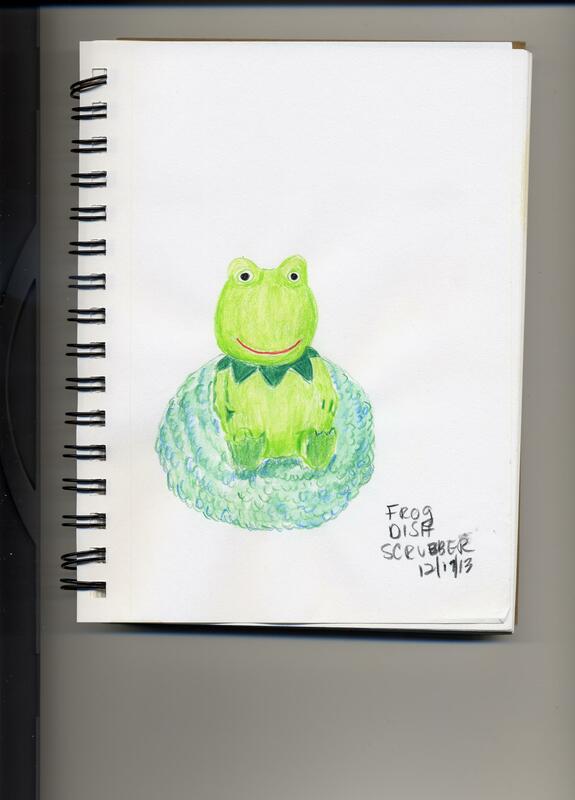 I have kept up with the “Sketch a Day” challenge I mentioned in my last blog post. It seems to fit into my day pretty well, even with all the added activities of the Christmas season. Every day, in the midst of all the crazy shopping, decorating and baking, I get a half-hour or so of calm, quiet drawing time. Who knew that squeezing an extra activity into my already full schedule could be such a gift? We started the week with a family trip to the Jacksonville Landing to enjoy Tuba Christmas. On the walk back to our car, we passed a dogwood tree covered in red leaves. I picked one and tucked it into my purse so I could draw it later. The next day I looked around my kitchen and found a frog-shaped toothpick holder. That was fun! 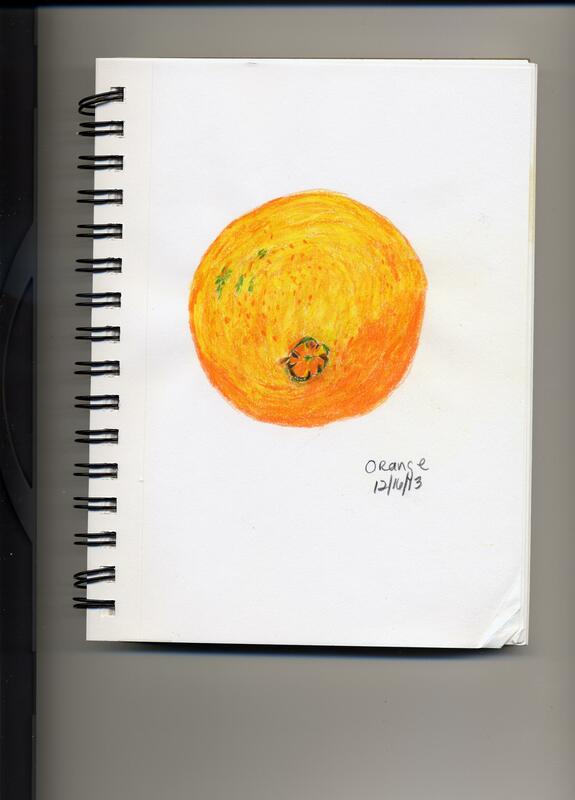 Next came an orange from my refrigerator. 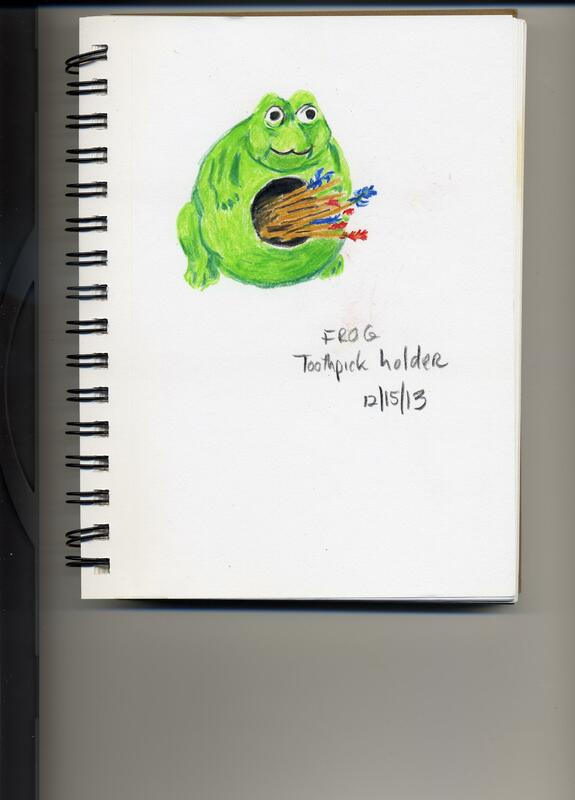 It was an ingredient in one of my twelve kinds of Christmas cookies, but before I used it, I drew it. After that, I looked around the kitchen again and found another frog. This one is a dish scrubber. 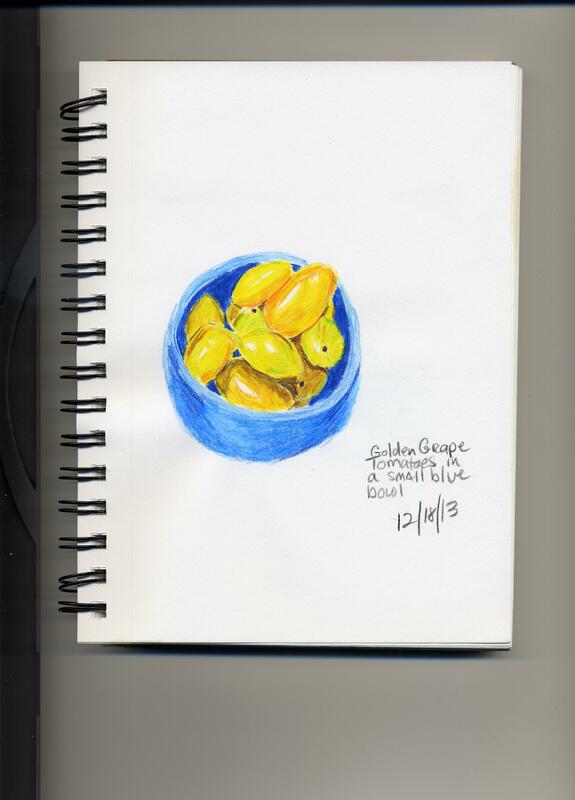 I got ambitious the next day and put several golden grape tomatoes into a tiny bowl. That’s practically a still life, there. 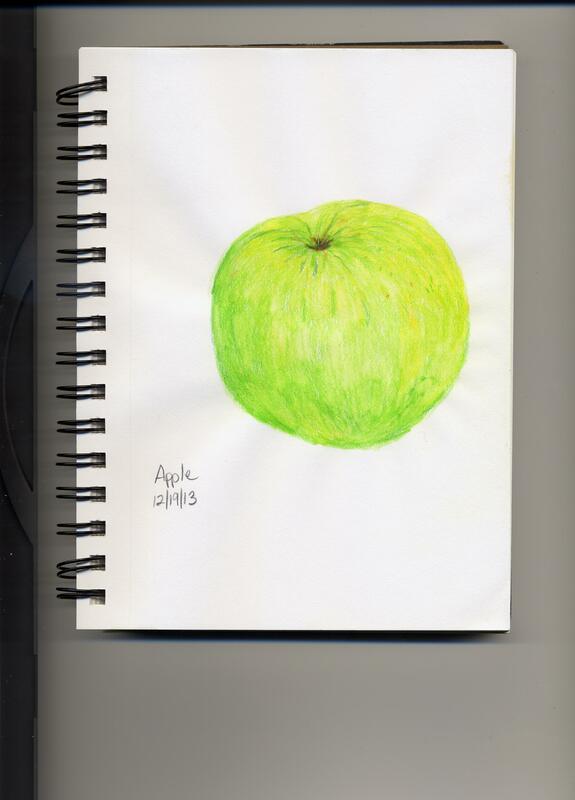 The next day, I was in a rush, so I chose a round fruit – an apple from the refrigerator. 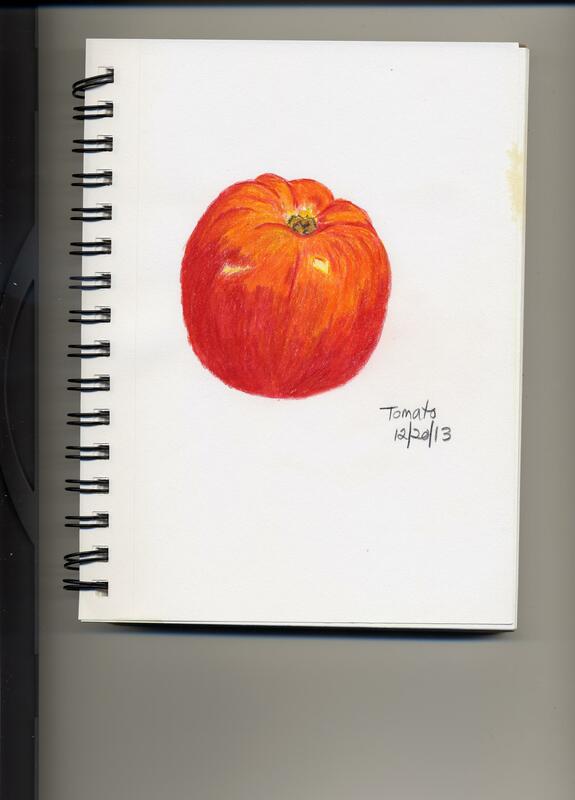 Today was also a very busy day, so I chose something round again – a bright red tomato. I’m really hoping Santa brings me some more watercolor pencils. Some day, I hope to draw something purple. 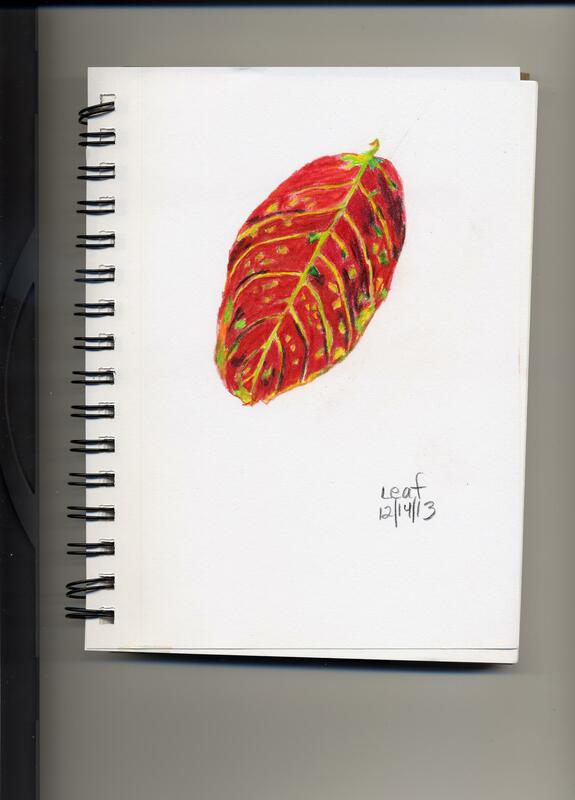 This entry was posted in Uncategorized and tagged creativity, drawing, sketching, watercolor pencils on December 20, 2013 by releaf1954.